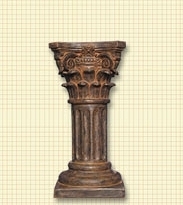 There is a timeless perspective to the use of columns within today's design standards. We search to find styles which are both unique and esoteric. We then create masterful color finishes which offer elements of grandeur to each of our product styles.